Imagine having a rewarding, high-paying job that lets you use your creativity to decorate fun or elegant cakes and cupcakes. Welcome to the world of cake decorating! As a cake decorator, you may be paid to create the centerpieces of some of the most memorable occasions of people's lives. Cake decorators design, bake and decorate creations that are almost as much fun to look at as they are to eat. There are few jobs that offer so many benefits. When you become a cake decorator (also known as a cake designer) you will have the satisfaction of making your vision a reality. 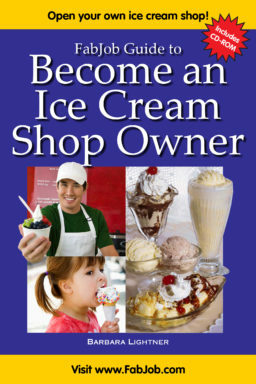 If you start your own cake decorating business or cupcake business you will enjoy the freedom of being your own boss. You could earn $50,000 or more per year from home, or even more if you open your own cake or cupcake shop. 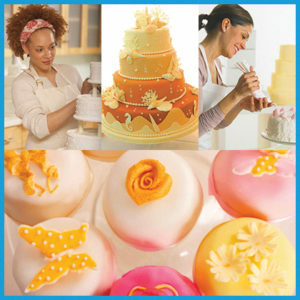 And perhaps most importantly your cake decorating “work” will be fun, interesting, and personally rewarding. Cake decorators may also choose to specialize in a style or theme of cake decorating, such as gumpaste flowers, marzipan figurines, royal icing, fondant cut-outs, or intricately piped buttercream lacework or roses, just to name a few. As long as you have the desire, you can become a cake decorator. No special education or experience is necessary to become a cake decorator. 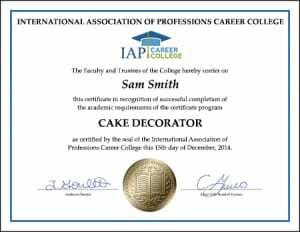 You can start a cake decorating, cake design, or cupcake business and become a cake decorator immediately. If you would like to become a cake decorator and be paid to decorate cakes or cupcakes, the FabJob Guide to Become a Cake Decorator is for you! 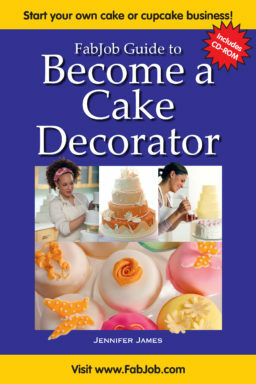 In this e-book you will discover how you can get started and succeed in the exciting business of cake decorating. 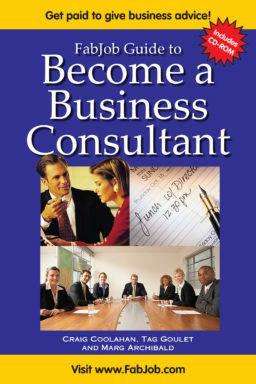 The author of this guide is Jennifer James, a leading writer and editor of career guides. 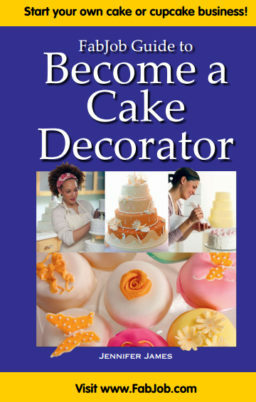 In the cake decorator guide she shares insider tips and expert advice from cake decorating business experts to help you achieve success with your own cake decorating business. You can have all this and more for an incredible special price. People pay hundreds of dollars to take courses on starting a business, and chances are they will not include specific information about starting a cake decorating or cupcake business. The FabJob Guide to Become a Cake Decorator contains some of the best business advice you could get from other sources, and more. It is a print book together with a CD-ROM that includes sample checklists, forms, and more. The information in this guide can save you many hours of research, help you avoid some costly mistakes, and give you information you need to become a cake decorator and start your own cake decorating or cupcake business.